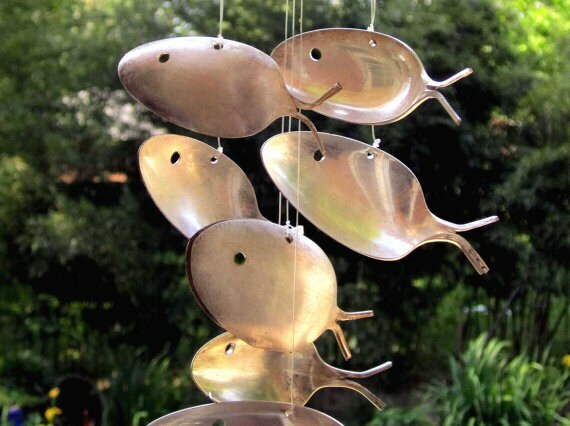 My flatware feline and upcycled spoon fish windchime is sure to bring out the kitten in everyone. 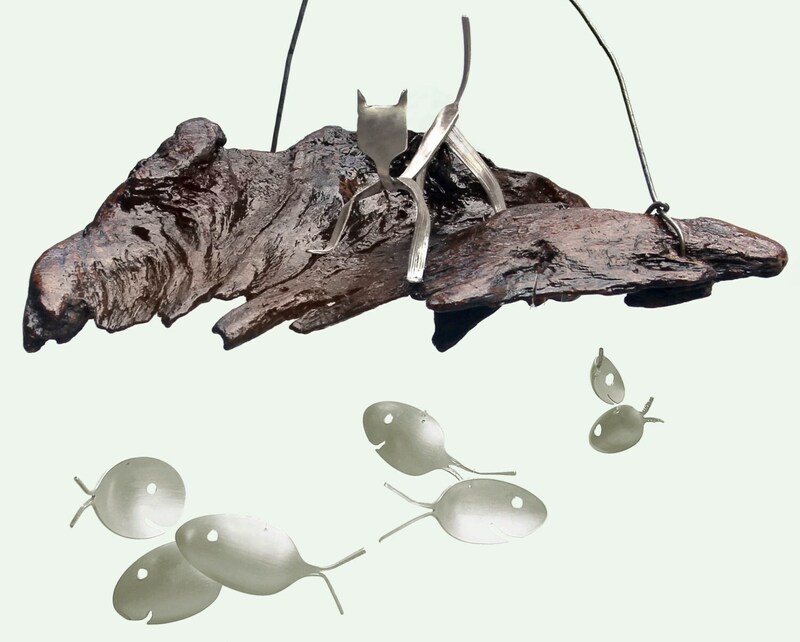 Seven artisan silver plated spoon fish playfully swim beneath a curious kitten perched atop a piece of natural driftwood. 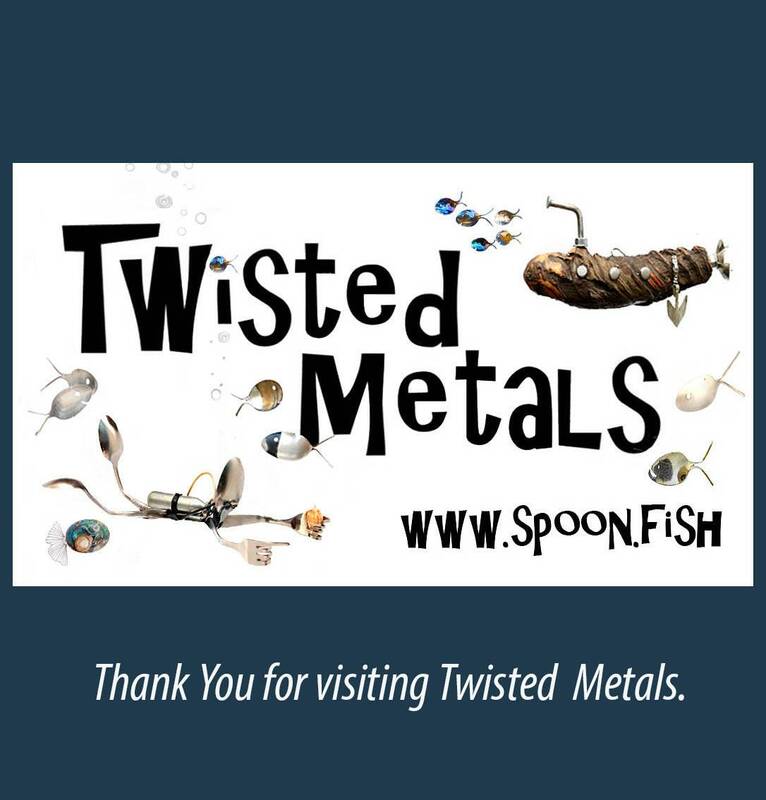 - Fish are hand crafted from antique and vintage silver plated spoons. 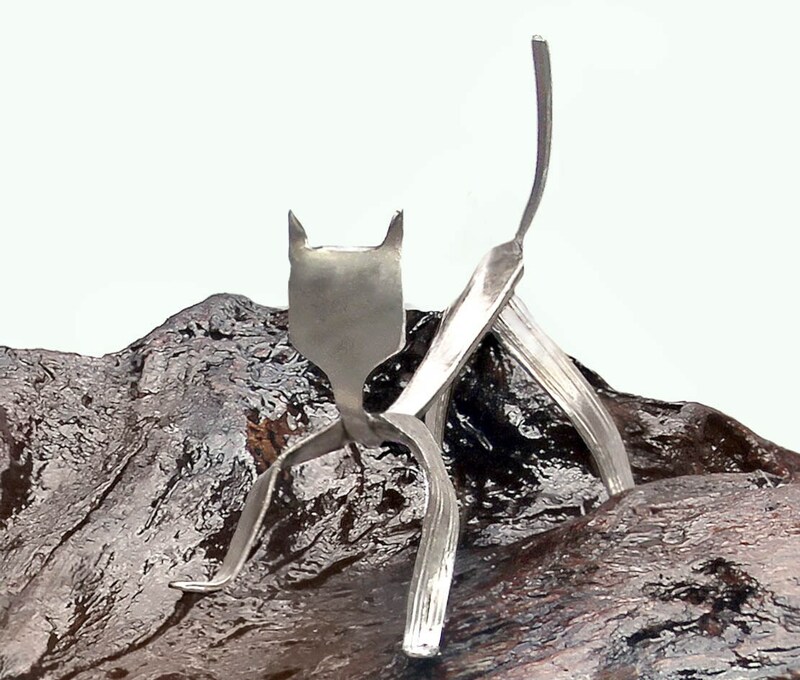 - Cat is crafted from a quality heavy duty stainless silverware. 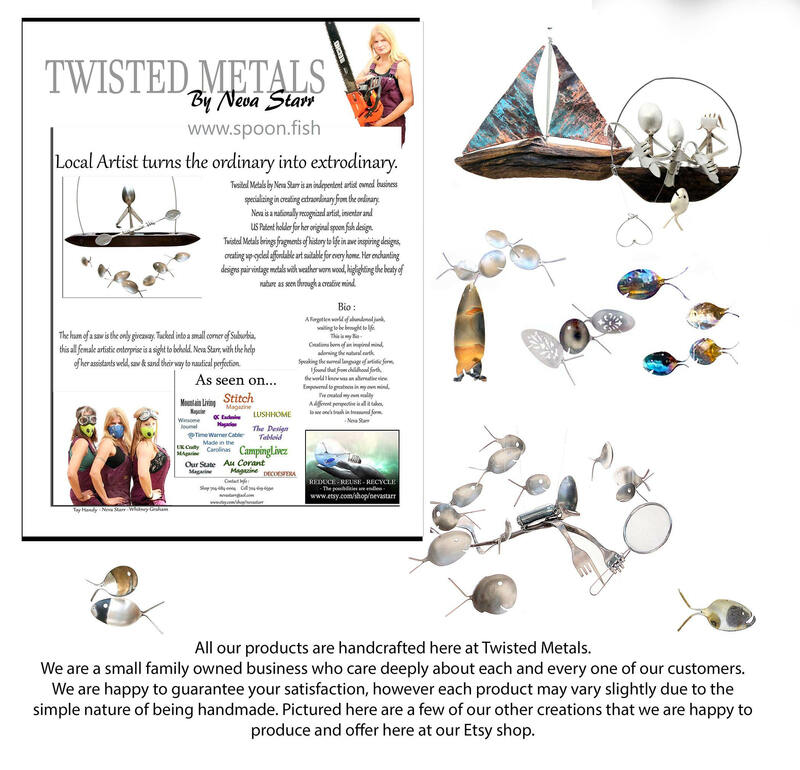 - Driftwood is naturally harvested from the lakes, streams and shores of NC. 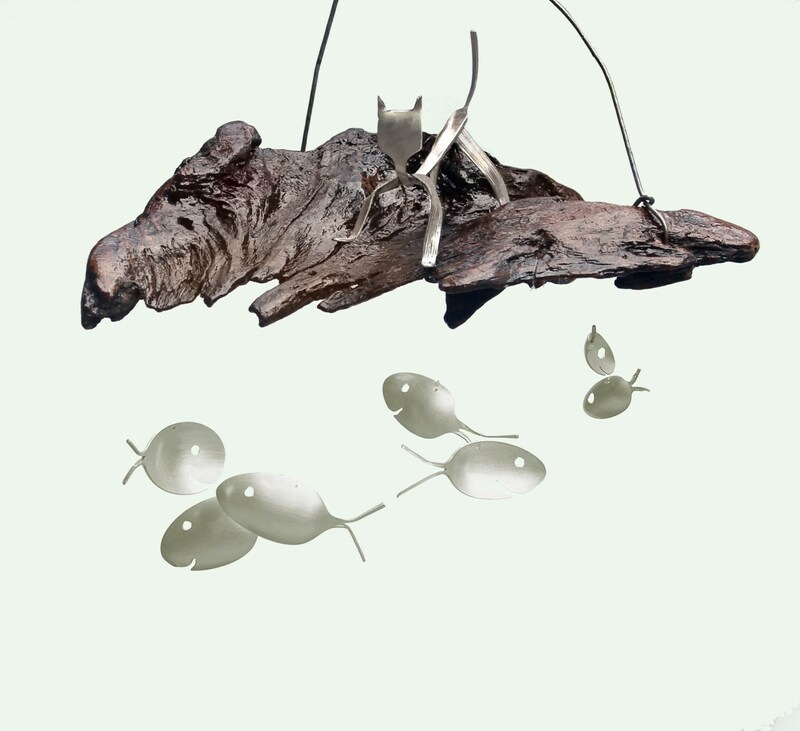 - Driftwood has been steamed, and sealed to protect from the elements & bring you joy for years to come. - more pictures coming soon. 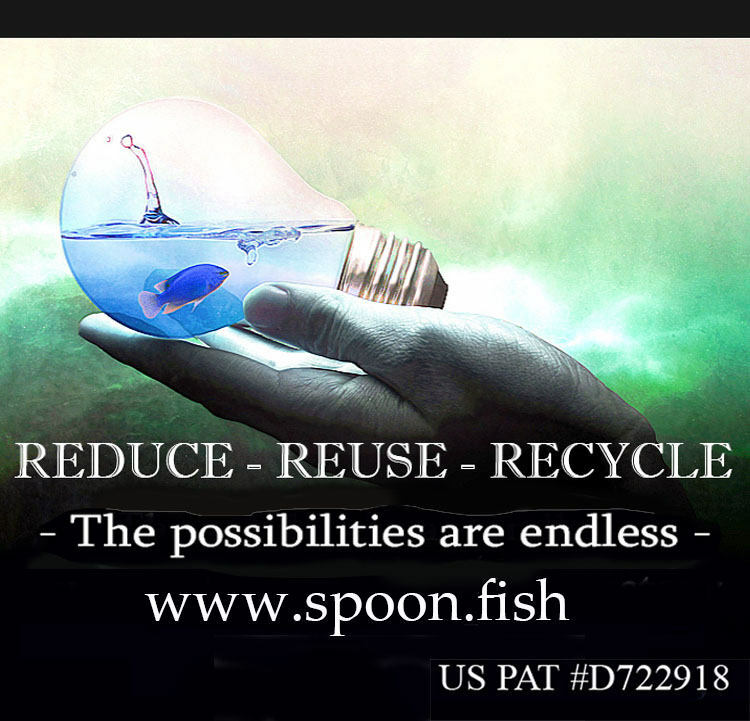 - Patent pending on all spoon fish designs.